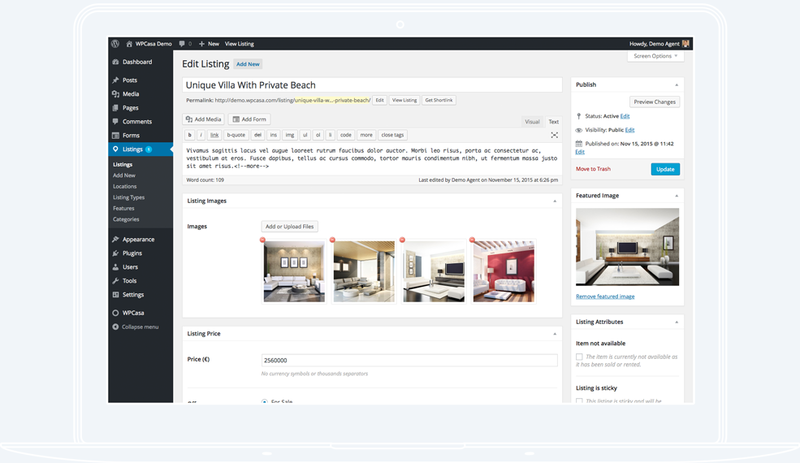 Creating professional real estate websites has never been easier. WordPress is by far the most popular CMS on the internet. Take advantage of the power of WordPress and be part of the huge, world-wide community. Ah, and Google loves WordPress too. WPCasa fully integrates with the familiar and easy-to-use interface that comes with WordPress. You'll become a professional real estate listing manager quickly. Use our custom add-ons to change or extend the functionality or install one of our themes exclusively built for WPCasa to hit the ground running with a professional design. All our products have been created with search engine optimization (SEO) in mind. The basic HTML structure and the micro formats will give Google the material it is looking for. The real estate industry without a doubt is an international business. And so is WPCasa. The framework as well as our add-ons and themes are fully localized and translation-ready. We've created WPCasa with developers in mind writing readable, well-documented code that is easy to follow and comes with loads of actions, filters and templates to hook in. 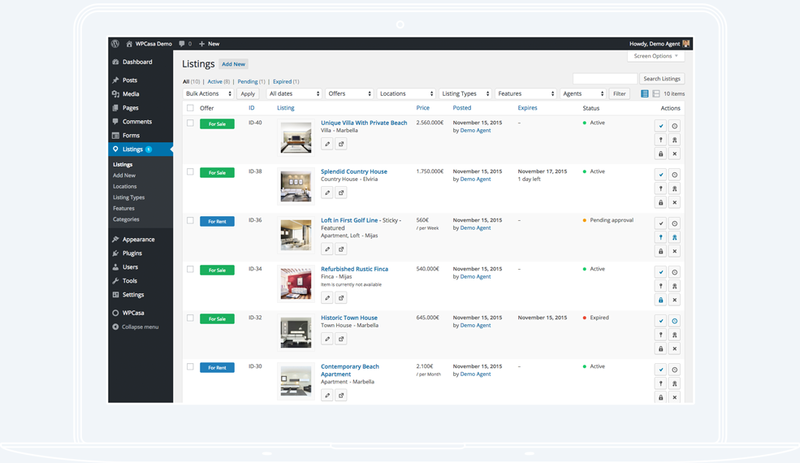 Adding extensive property details, location information and image galleries has never been easier using our intuitive WPCasa listing editor. With a set of handy shortcodes you can display for example listings or the property search on a static page with ease. WPCasa works out of the box. But if you want to modify the layout, there is a powerful system to overwrite existing templates. The minimal styles included in WPCasa are designed to get out of your way and make it easy to match your preferred theme. Using our custom add-ons you can connect WPCasa to third party services, change or extend the functionality and customize things to your needs. If you want to start with a turn-key real estate website with a first-class design, browse our collection of WordPress themes exclusively built for WPCasa. No matter if you need help during the basic installation process, setting up any of our add-ons or themes, if you have an advanced coding question or want to report a bug, we've got your back. Check out our free core plugin in the official WordPress plugin repository.